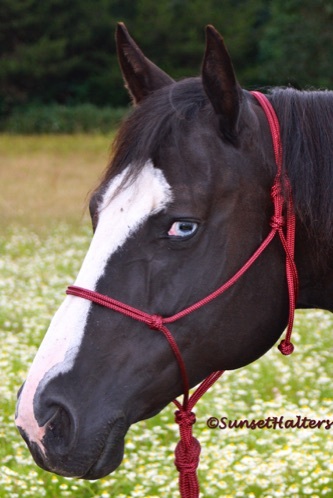 'Katie' is shown here wearing a burgundy standard horse sized 1/4" yacht braid rope halter, with 1/2" yacht braid lead (sold separately). The yacht braid's outer sleeve is very soft and slick, making it a great choice for horses with sensitive skin, who easily gall. The smaller diameter, low stretch, and strength of this rope, makes it great for training, as well as every day use. 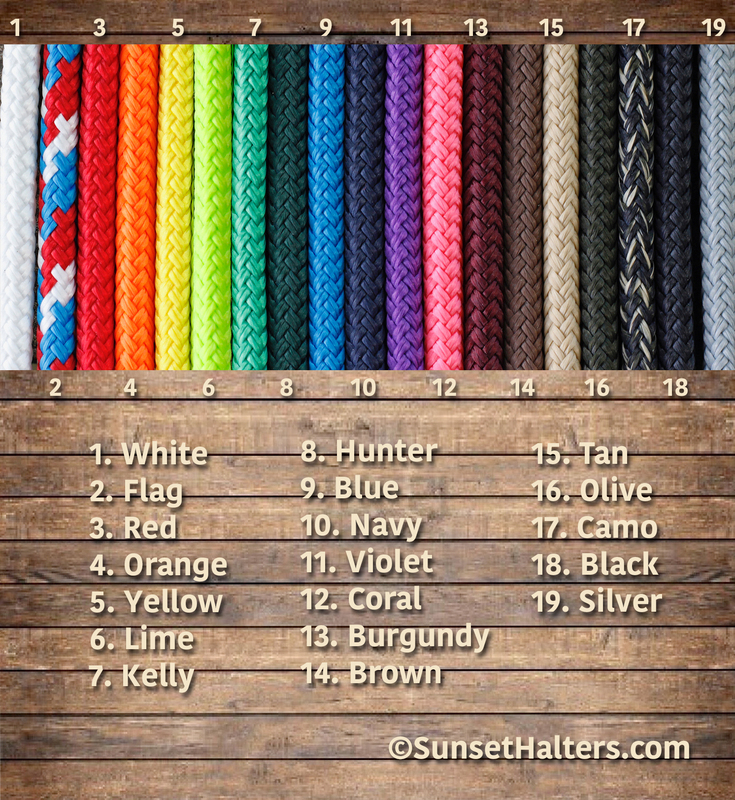 This halter rope is available in the colors shown below. You choose from our 10 main sizes. Starting at $15. Custom sizes are available at no extra cost.